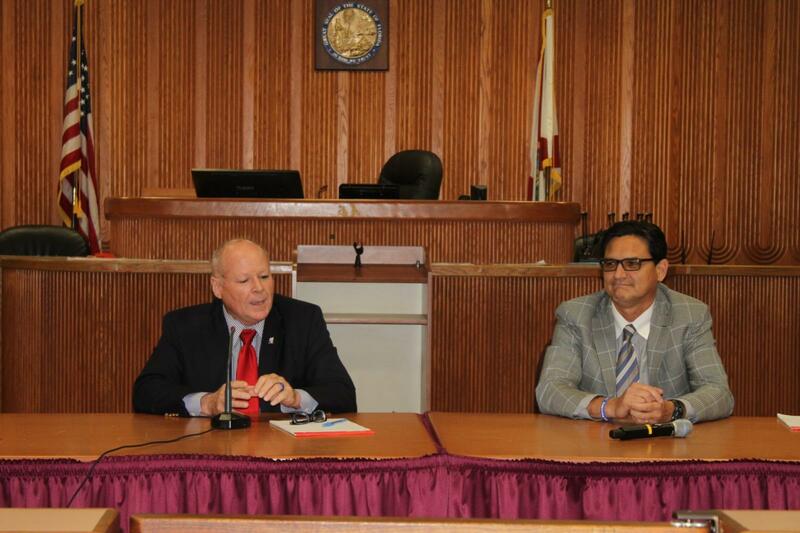 Rob Curry and Bob Worcester from St. Lucie County Pretrial Program made a presentation about the services provided by their agency. The program supervises criminal defendants released awaiting trial through a variety of means including GPS monitoring as well as drug and alcohol testing. These services provide a tremendous savings to the taxpayers. 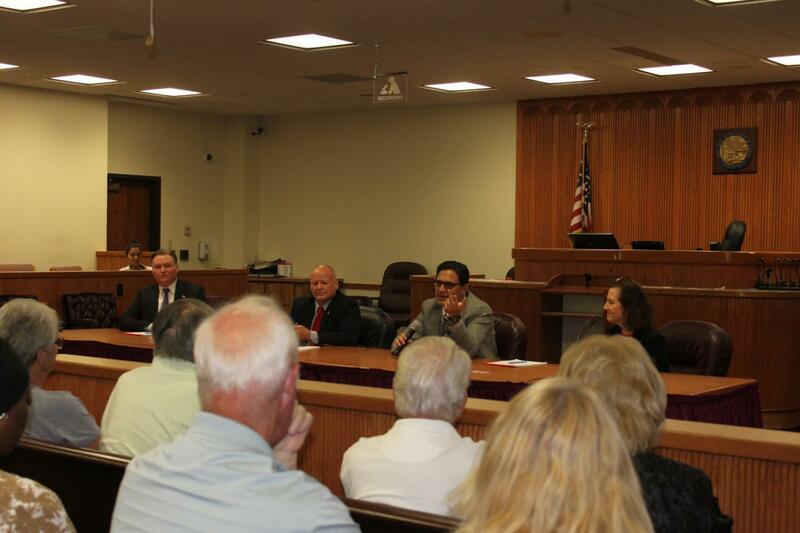 During the evening, a panel discussion was held with Judge Isenhower serving as the facilitator. 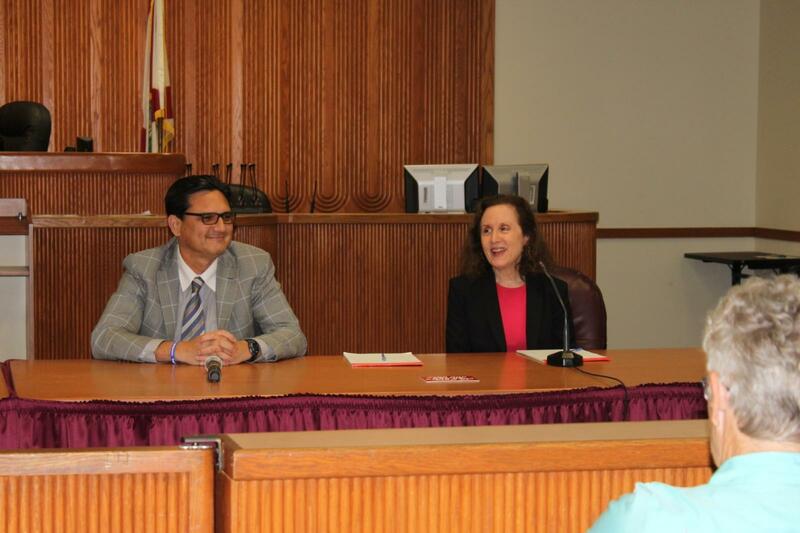 Nineteenth Judicial Circuit Judges Barbara Bronis and Lawrence Mirman and District Court of Appeals Judge Burton Conner joined Judge Isenhower. 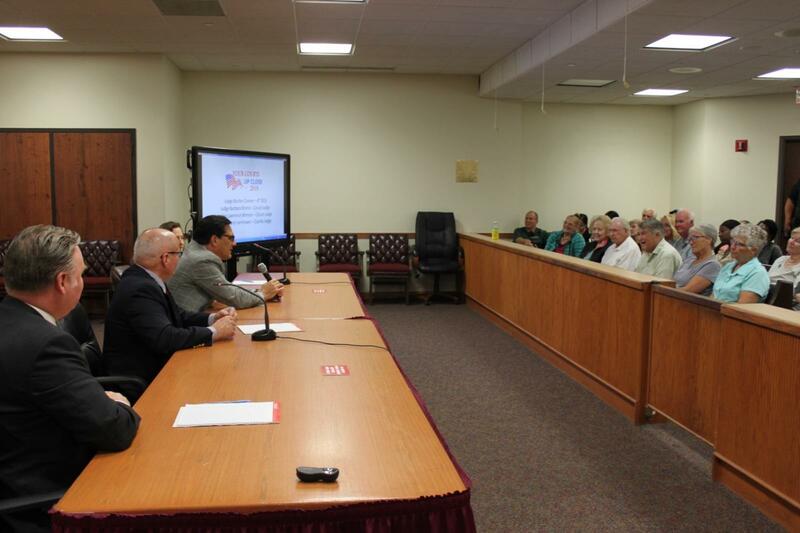 Participants led the discussion with questions on a variety of topics including procedures and processes used in probate, guardianship, civil, and criminal cases. 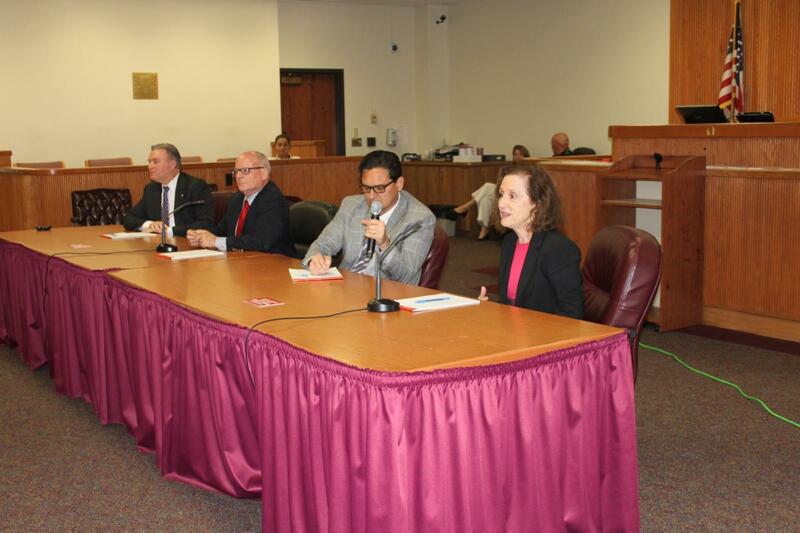 The participants were eager to discuss issues related to mental health, the appellate process, first appearances, the setting of bond, and judicial elections. Each judge also shared their individual path to becoming a judge. At the conclusion of the evening, Judge Isenhower thanked everyone for attending and distributed certificates. More than 75 attendees received certificates recognizing their participation in at least three sessions of Your Courts Up Close 2019. 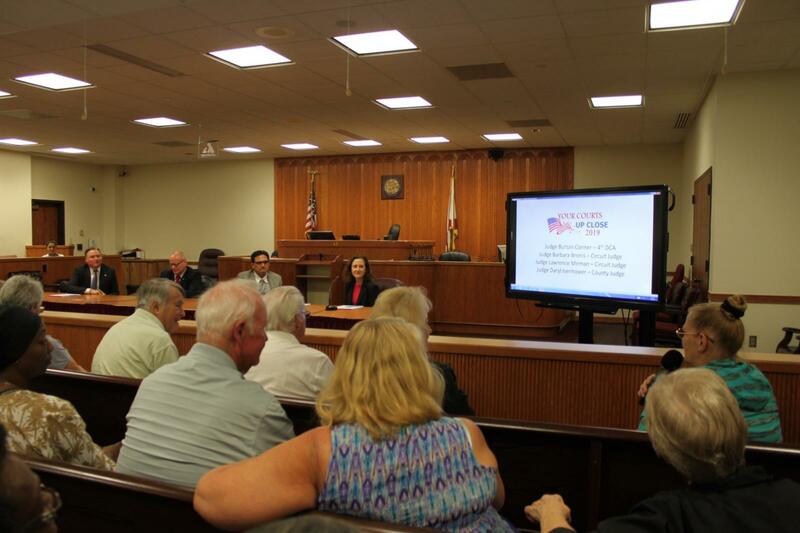 Another successful year of Your Courts Up Close concluded with 106 attendees who attended one or more session(s). Be sure to check back HERE for dates for Your Courts Up Close 2020.